Vintage 1977 Live Album by Johnny Thunders & The Heartbreakers Finally Sees Light Of Day, Celebrated With Record Release Party Gig By Walter Lure! Vintage 1977 Live Album by Johnny Thunders & The Hearbreakers Finally Sees Light Of Day, Celebrated With Record Release Party Gig By Walter Lure! 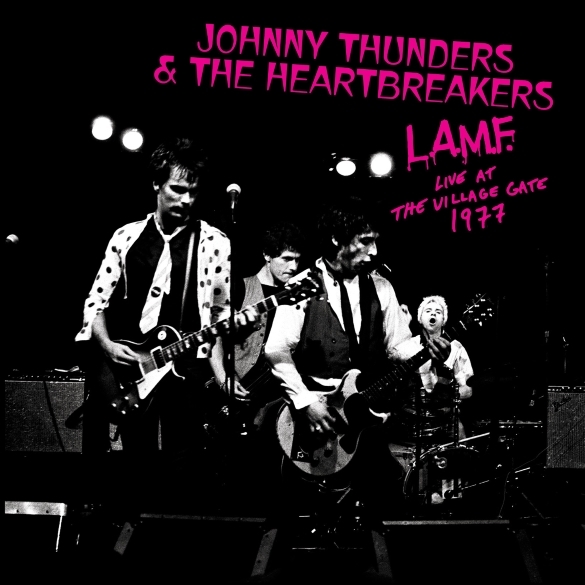 Los Angeles, CA – Rock out like a motherf****r with this previously unreleased live album by NY punk legends Johnny Thunders & The Heartbreakers performing at the very peak of their powers in front of an adoring hometown crowd at the Village Gate in Greenwich Village. Pulling from two shows recorded August 18 & 20, L.A.M.F. Live At The Village Gate 1977 has been declared by former Heartbreakers guitarist/vocalist Walter Lure as simply the best shows the band ever played in its brief but storied career. No wonder too since the band was mere months away from releasing their debut album, the now revered classic of early punk, L.A.M.F. Available on both CD, in a deluxe mini-LP gatefold sleeve, plus a limited edition hot pink 12” gatefold vinyl pressing, L.A.M.F. Live also features special guest performances by Robert Gordon and New York Doll Sylvain Sylvain! The album will be available everywhere on October 16 courtesy of Cleopatra Records. To celebrate this momentous release, Walter Lure will be performing at two exclusive album release parties, the first at the Til-Two Club in San Diego on October 16 and the second at the Redwood Bar & Grill in Los Angeles on October 17. The show promises to be a wild ride through the L.A.M.F. album including such classics as “Chinese Rocks,” “Born Too Loose” and more!